Das Pinnacle von 1991 von Alan Moore aus Mülheim Ruhr. Farbe, Bright Green. 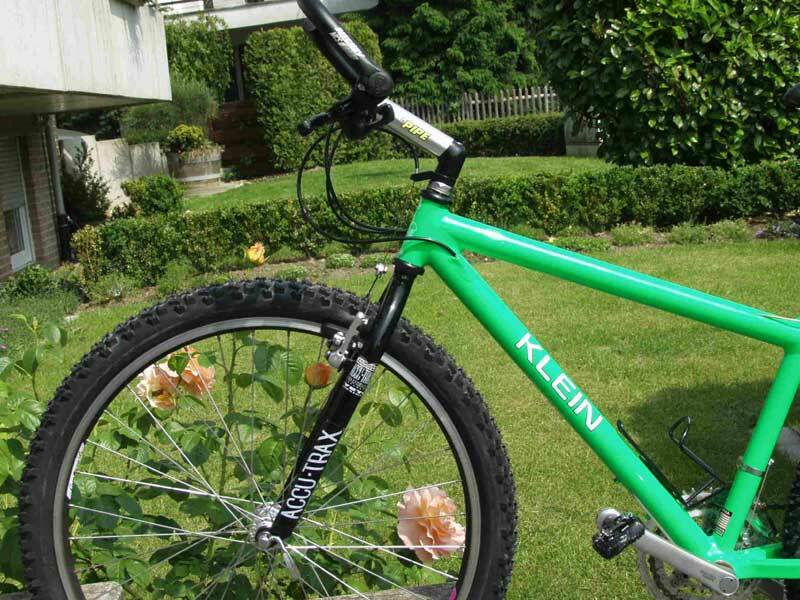 Gekauft hat Alan den Rahmen 1991 in England bei Brighton Bikes. 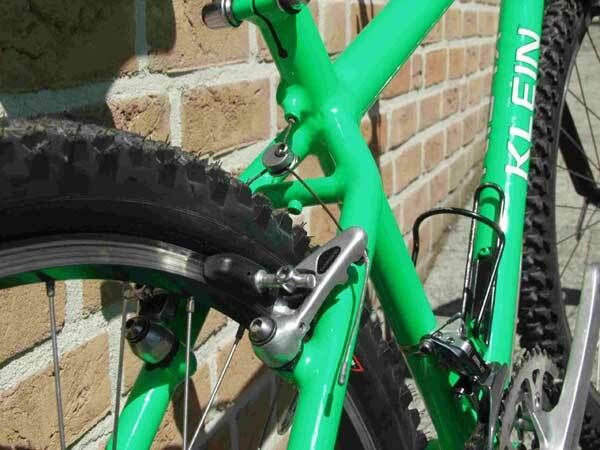 Zusammengebaut wurde es dann von Speedy Bikes in Mülheim-Ruhr. Er tauschte dann noch die Chrom Gabel gegen eine Accu-Trax aus. "Hello Frank, Congratulations on your great website. 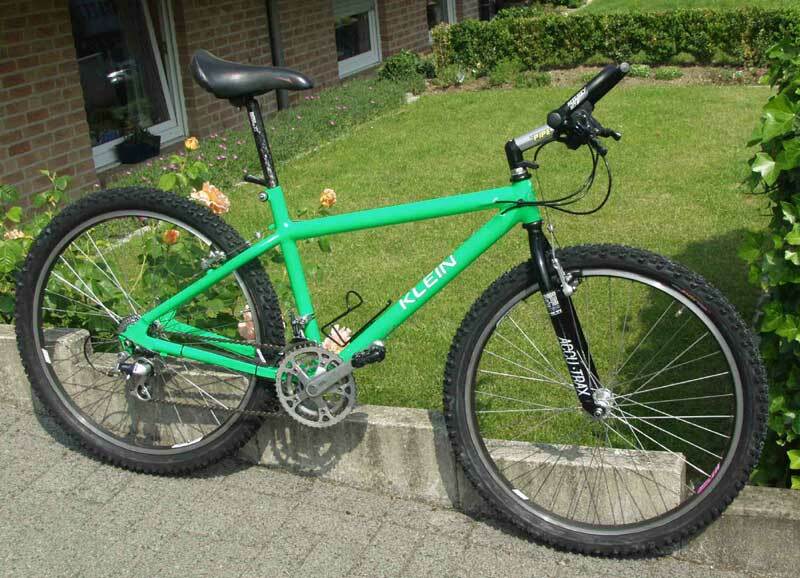 Attached are a couple of photos of my 1991 Klein Pinnacle that you might like to add to your Klein Classic Collection. I purchased the frame from Brighton Bikes, in England in April 1991. 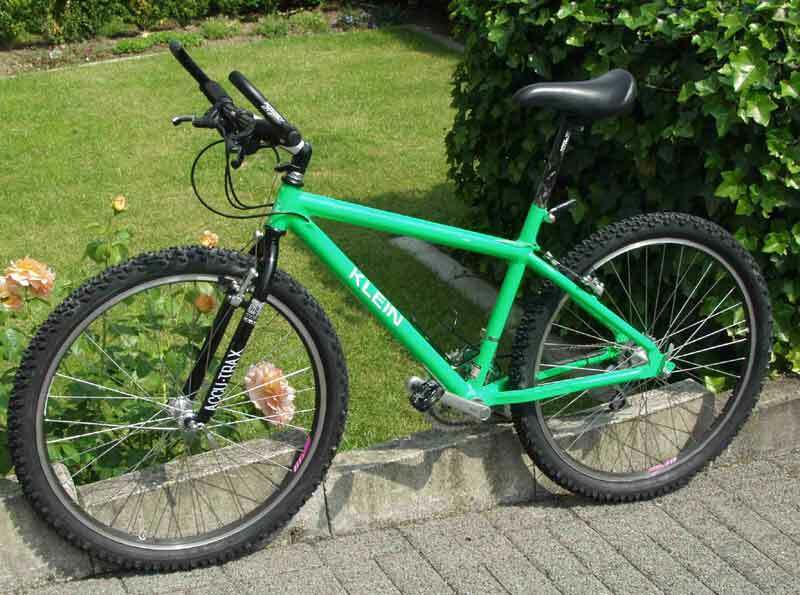 The bike was built for me by Speedy Bikes, Mülheim-Ruhr. 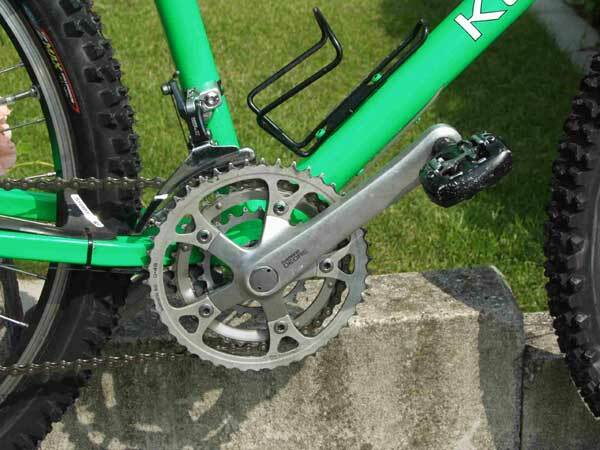 Later i replaced the original Klein (crome !! ) 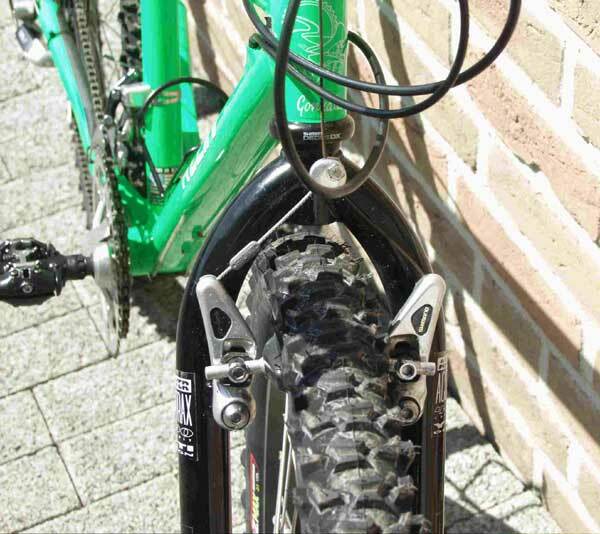 forks with a set of Accu-Trax. 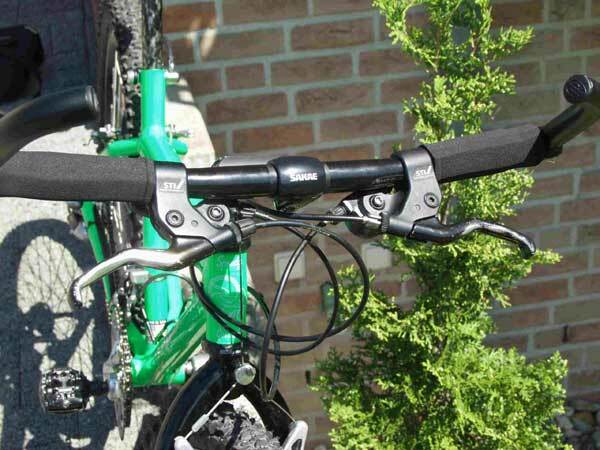 The bike is in its original excellent condition and is still being used on a regular basis..."
Shimano Deore XT SP-M 730 in 27,2 mm. 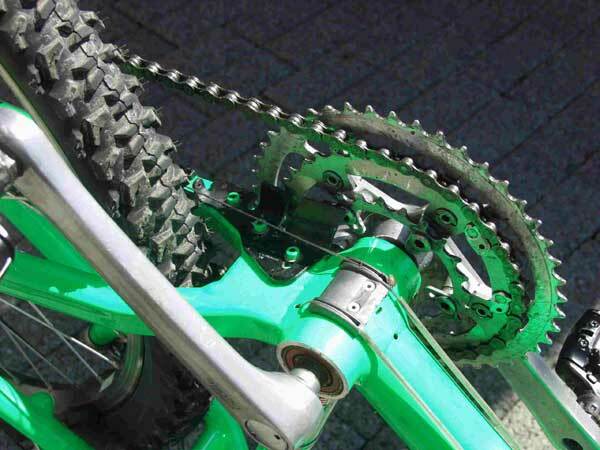 Campagnolo Thorr Felgen mit Deore DX Naben.